Toys ‘R Us 2014 Black Friday Ad! 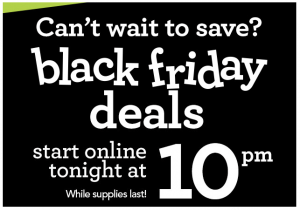 The Toys ‘R Us Black Friday ad is going live at 10 pm ET TONIGHT (11/26)! They are updating the prices on the site NOW, so get ready! Toys R Us opens it’s doors at 5 pm Thursday (Thanksgiving) November 27th. There are 3 Sale periods running starting with the 4 Hour Sale starting on Thursday and ending on Saturday. All items are while supplies last. Check out the Clearance items with up to 80% off. Don’t forget to check out my Black Friday deals page where we’ll keep you up to date on all the latest Black Friday deals as they become available. Make sure to check out the deals online at ToysRUs.com , too. They should start appear on Thanksgiving morning!! Save yourself a trip to the store and enjoy your day with your family! You can find the Toys R Us Black Friday Ad Scan available online if you’d like to look at that, too! 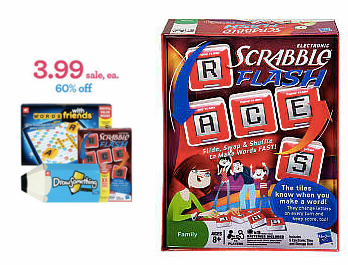 Toys ‘R Us Hasbro Games Sale: board games as low as $.99! 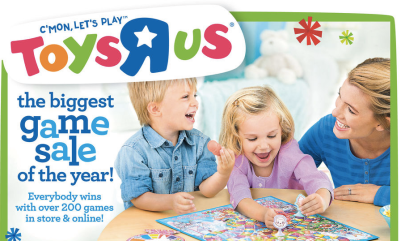 Toys ‘R Us has some AWESOME deals on board games this week! Use them to stock YOUR game closet, put them away to use as gifts later on, or plan to donate a few to your location Toys 4 Tots drive! 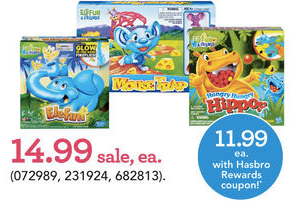 In addition to the direct-linked coupons below, there are also game coupons on the Hasbro site! Make sure you print those, too! If your Toys ‘R Us is sold out, you can always price match at Target! Your local children’s hospital would also appreciate these donations! 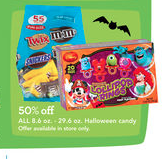 Halloween Candy 50% off at Toys ‘R Us! *This post contains affiliate links and I will be compensated if you make a purchase. Refer to my disclosure policy for more information. Are you ready to stock up on Halloween candy? 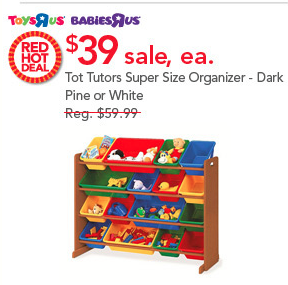 It’s 50% off at Toys ‘R Us this week! You should be able to score some AWESOME deals plus there are coupons to match up with the sale! Make sure you print these coupons to get the best prices: remember you can print 2 per computer! Toys ‘R Us One day Sale! Toys ‘R Us is having a One Day Sale today! They’ve got some rock bottom prices on popular items including baby gear, Crayola Crayons and more! 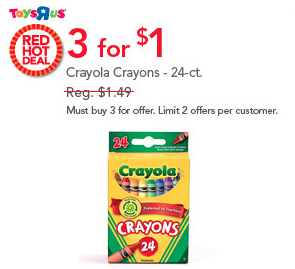 My top pick is these Crayola Crayons 24 count boxes 3 for $1! That’s cheaper than they are anywhere else right now! If you’re trying to get organized, this toy storage set is just $39! What a great deal! Make sure you also look for these colored clearance tags to score amazing deals on toys! This is a great time to stock up your toy closet! Toys ‘R Us Cyber Week Deals: Imaginext, Sofia the First, and more! Toys ‘R Us has some AWESOME Cyber Week deals! Some of these deals are available in store and online and you can even purchase items online and pick them up at your local store to save time!